We have compiled a number of official documents by the US military and its NATO allies as well as press reports which shed light on US-NATO War preparations directed against Russia. These reports are for informational purposes only. BUCHAREST, Romania: Leadership assigned to 2nd Squadron, 2nd Cavalry Regiment met with their military counterparts assigned to the Training and Doctrine Command (TRADOC,) Romanian Land Forces (ROULF,) at the Land Forces Headquarters in Bucharest, Romania on Apr. 2, 2015. KATTERBACH, Germany: Aviators from the Bravo Company, 3-158th Assault Helicopter Battalion, 12th Combat Aviation Brigade, provide aviation support for helocast training April 2, 2015, with Soldiers from the Latvian Special Forces over the Daugava River in Latvia. 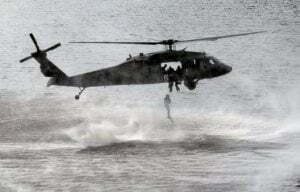 Helocasting is a technique used by small unit, special operations forces to conduct airborne insertion into an area of operations, usually over water. The “Stormriders” from 3-158th are currently deployed to Latvia in support of Operation Atlantic Resolve. Army Europe is leading the Operation Atlantic Resolve enhanced land force multinational training and security cooperation activities taking place across Estonia, Latvia, Lithuania and Poland to ensure multinational interoperability, strengthen relationships among allied militaries, contribute to regional stability and demonstrate U.S. commitment to NATO. Ukrainian Prime Minister Arseniy Yatseniuk has said that the Ukrainian government will sign an agreement on military and technical cooperation with NATO, and the Armed Forces of Ukraine will seek to meet NATO standards. 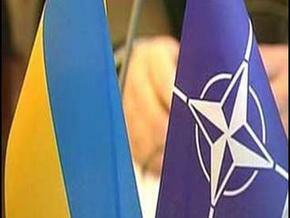 “The government is signing an agreement on cooperation in the field of support with NATO. It is an agreement on support between the Ukrainian Cabinet and NATO, which envisages the implementation of four trust projects with NATO, including military and technical cooperation, communications, new communications and information technologies,” Yatseniuk said at a government meeting on Wednesday. He said that Ukraine needed to rebuild its armed forces using the example of the strongest armies and associations which are fighting for global peace, and which adhere to NATO standards. “We are moving in this direction,” Yatseniuk added. HOHENFELS, Germany: More than 4,700 participants from 17 Allied and European partner nations have arrived here for exercise Saber Junction 15. But before most of them do anything, they’ve got to get their lasers. At the beginning of every training rotation, all Soldiers, vehicles and weapons systems are required to receive a Multiple Integrated Laser Engagement System, or MILES, that allows the training engagements to occur and record the data for analysis and feedback during after-action reviews. Within the official visit to Georgia, Defence Ministries of Georgia and Romania held meeting at the MoD today. At the beginning of the meeting, Mindia Janelidze expressed gratitude for supporting Georgia’s territorial integrity and sovereignty, as well as Georgia’s Euro-Atlantic aspiration. The sides overviewed regional security issues. ATLANTIC OCEAN: Ships assigned to Standing NATO Maritime Group Two (SNMG2) recently completed passing exercises with the Royal Moroccan Navy (RMN) off the coast of Casablanca following the Group’s visit to the city. Led by Rear Adm. Brad Williamson (USA), SNMG2 is currently comprised of the U.S. flagship USS Vicksburg (CG 69), Canadian ship HMCS Fredericton (FFH 337), Italian ship ITS Aliseo (F 547), German oiler FGS Spessart (A 1442), Turkish ship TCG Goksu (F 497) and French oiler FS Marne (A 630). The towers – which range in height between 35 and 50 metres – are to aid border guards in monitoring the border 24 hours a day, with images streamed to local border control posts. “We are currently in the test phase of the technical installations on the towers,” Mirosława Aleksandrowicz from the Warmia-Masurian Border Guard told the PAP news agency, adding that “we plan to be fully operational by June this year”. The total cost of the investment is over PLN 14 million, with 75 percent of the cash coming from the EU’s External Borders Fund. Poland’s border with Russia is also the external border of the European Union, and has four road crossings into the Kaliningrad exclave, in Gronowo, Grzechotki, Bezledy and Gołdap. Last year, 3.2 million Poles and 3.3 million Russians passed through the border crossings, up from 2.9 million Poles and 3.2 million Russians passing through in 2013, PAP reports. KYIV: Former U.S. ambassador to Ukraine (2003-2006) John Herbst believes that Washington will decide on arms supply to Ukraine this year. He said this in an interview to Inter Ukrainian TV channel. “We must stop aggression of Putin here in Ukraine. I do not think that the U.S. president understands that. I think he is short-sighted and does not see the depth of problem and, therefore, has not yet decided on issue of arms supplies to Ukraine,” Herbst said. At the same time, he added that American political circles understood that the issue concerned the vital interests of the United States. “So I think that this year Washington will decide on the supply of arms of Ukraine, but the president has not approved that so far,” he said. 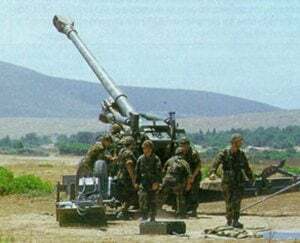 According to Herbst, arms supplies to Kyiv could reduce the likelihood of a new attack by Russia. 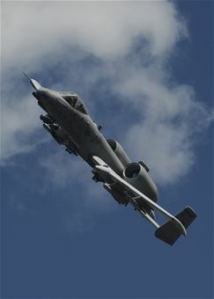 CAMPIA TURZII, Romania: Twelve U.S. Air Force A-10 Thunderbolt IIs deployed as a 90-day theater security package in support of Operation Atlantic Resolve to Campia Turzii, Romania, March 30. Ämari Air Base, Estonia: At the invitation of the Estonian government, American pilots from the 510th Fighter Squadron at Aviano Air Base, Italy, have a unique opportunity to learn the value of the Forward Air Control (Airborne) mission with Estonians from Amari Air Base and U.S. instructor pilots from Luke Air Force Base. “Ukrainian defense industry that switches to three-shift operation is quickly boosting Ukraine’s military power,” the head of state said in the training center of the National Guard of Ukraine in Novi Petrivtsi (Kyiv region) on Saturday. Products of Ukroboronprom State Concern and some other Ukrainian enterprises were exhibited. 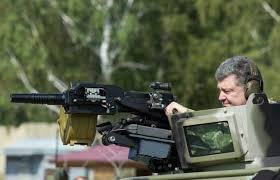 Special exporters of Ukroboronprom also showed modern devices and equipment made by foreign companies.. US Air Force F-15 fighter jets will arrive in Bulgaria next month to join military exercises in the eastern European country, Reuters reported on Tuesday. 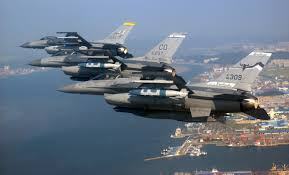 Up to 12 F-15s will arrive after Apirl 10, the newswire quoted a Bulgarian defence ministry official as saying. The deployment, part of the Pentagon’s Operation Atlantic Resolve, will take place from April 10 to June 30. The operation aims to demonstrate the commitment of the US military to NATO allies in view of tension along the Alliance’s flank in eastern Europe prompted by Russia’s involvement in the conflict in Ukraine. Moscow has denied Western accusations of providing support to pro-Russian rebels in Ukraine. LEEUWARDEN AIR BASE, Netherlands: The second theater security package consisting of twelve F-15C Eagle fighter aircraft arrived at Leeuwarden Air Base, Netherlands, March 31 through April 1, marking the beginning of their six-month deployment to Europe. The 125th Fighter Wing, Florida Air National Guard, Jacksonsville, Fla., leads this first ANG theater security package to deploy in support of Operation Atlantic Resolve. The aircraft and Airmen are based out of units in Florida, Oregon, California, Massachusetts and various bases throughout Europe. Regardless of their origin, together, they make up the 159th Expeditionary Fighter Squadron. Maj. Gen. Eric Vollmecke, ANG assistant to the commander of U.S. Air Forces in Europe and Air Forces Africa, welcomed the Airmen and stressed the importance of the TSP in Europe during a visit April 3. “We are here to reinforce to our allies that the security of Europe is a priority for the U.S.,” Vollmecke explained to the 159th EFS. Supreme Allied Commander Transformation (SACT), French Air Force General Jean-Paul Paloméros participated to the International Conference on Air and Space Power (ICAP) at Turkish Air War College, April 2nd 2015. The ICAP 2015, an International Conference organized in Turkey for the second time, was hosted by Air War College with Turkish Air Force’s contribution. The subjects discussed during ICAP will ensure that today’s and future changing principles of Air and Space Power are clearly understood with the contributions of speakers from partner and allied nations from all over the world..
On October 20, 2010, the Obama administration announced approval of projected arms transfer agreements with the Kingdom of Saudi Arabia totaling over $60 billion in value. On February 16, 2011, I wrote a letter to you requesting further information. As I have not yet received a response, I am resubmitting my questions in a more public forum. 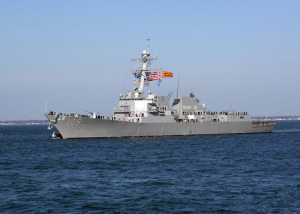 US Navy guided-missile destroyer Jason Dunham will enter the Black Sea on Friday in support of Operation Atlantic Resolve, the US 6th Fleet has announced. US and NATO have said they are holding Atlantic Resolve drills to strengthen security in the alliance’s member states in light of the conflict in Ukraine. Moscow has repeatedly expressed concern over growing number of NATO military drills in eastern Europe. The build-up of NATO forces in Eastern Europe “is an unprecedentedly dangerous step” that violates Russia’s agreements with the alliance, a Russian Foreign Ministry spokesman said on Thursday. This compilation was undertaken by Rick Rozoff, initially published on STOP NATO.